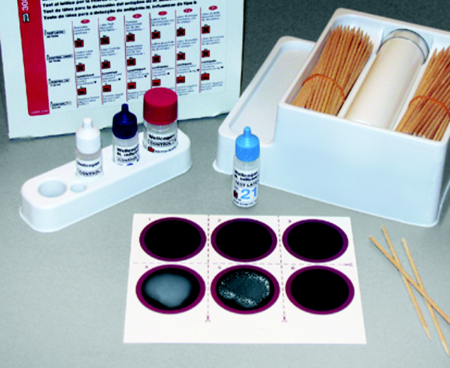 The Latex Agglutination Test used for qualitative detection Haemophilus influenzae type b presents in samples like CSF, Body fluids, serum, urine or blood cultures. The reagent consists of latex particles coated with antibodies specific to H. influenzae type b antigen and these latex particles will agglutinate in the presence of sufficient homologous H. influenzae type b antigen. 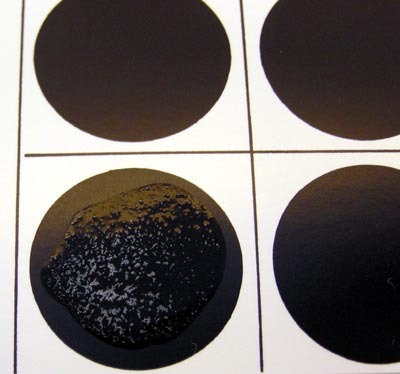 a positive result gives clear white agglutinates against a black background.